Xenoula - Xenoula. Vinyl LP, CD. Bleep. Domino offshoot Weird World turn up with something new and something old. 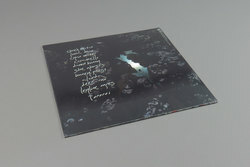 South African artist Romy Xeno handles the vocals and keys on her debut Xenoula release while roping in LA Priest/Soft Hair/Late of the Pier auteur Samuel Dust to help with production and programming. The result is a retro-futurist pop record that has shades of Glasser, Goldfrapp and Sampha. Xeno’s vocals combine with softly insistent production all over the record, creating a feeling of seduction and submission in the listener. 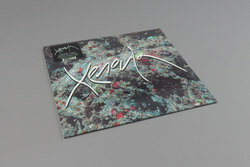 From the ‘Venus As A Boy’-aping ‘Cyan Water’ and hypnagogic disco of ‘Caramello’ to the psychedelic campfire pop of closer ‘Tororoi’, this LP confirms Dust as one of indie’s foremost envelope-push as well as heralding Xeno’s arrival as an original new voice.